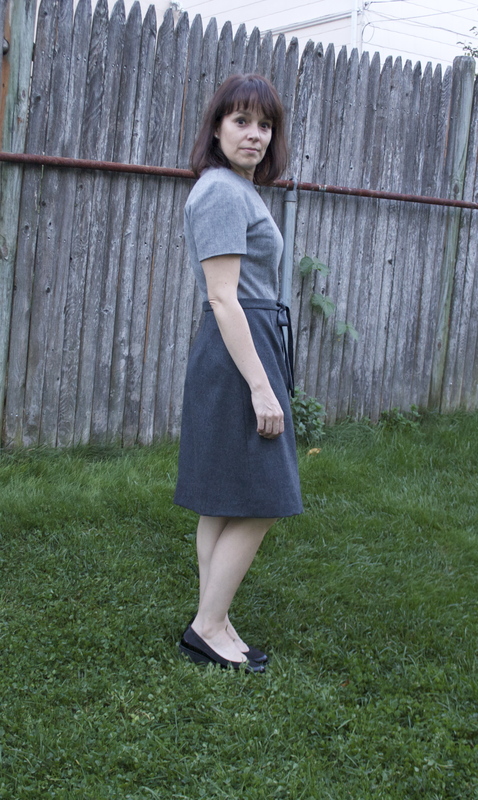 My Simplicity 5996 in two shades of grey wool is done. I’m pretty happy with how this dress turned out. I think I like the red stretch denim one I made earlier this year more, but this will be a nice addition to my Fall/Winter work wardrobe. 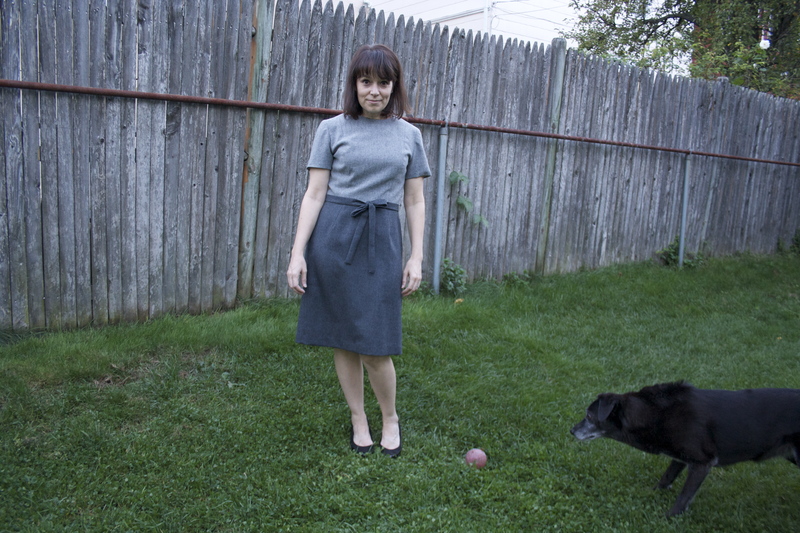 I had originally intended to make a different belt, somehow incorporating the grey buttons from my stash, but I haven’t come up with a design idea that I like yet. I’m sure it’ll strike my while I’m lying in bed trying to get to sleep some time soon, so don’t be surprised if you see this dress with different belt options. 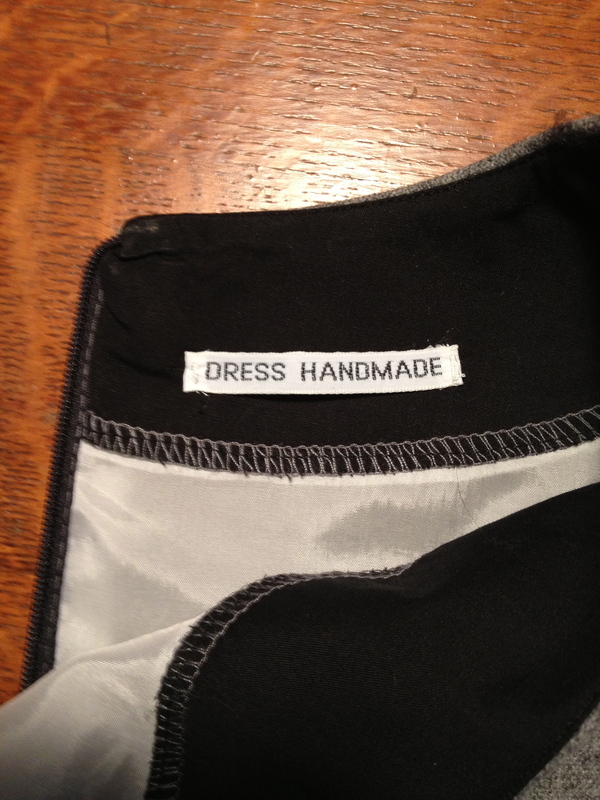 This dress is fully lined (I line everything!). 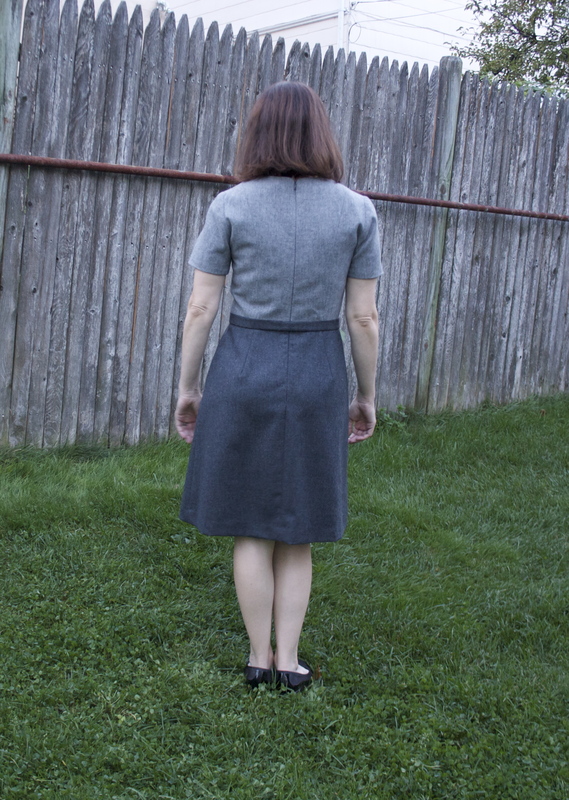 I simply made a second dress out of the lining fabrics, attached the black cotton facings to the top of those and then attached the facings to the dress as usual. I tacked the lining to the bodice at the under arms to keep it in place. 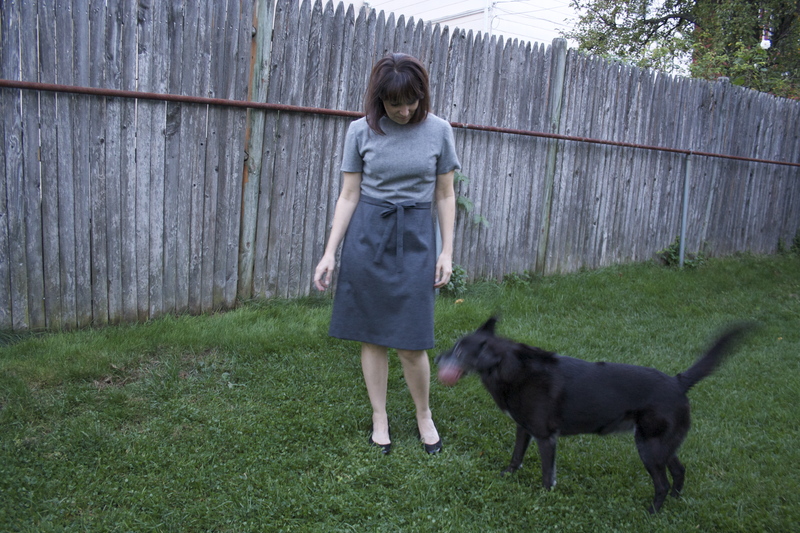 I used white Bemberg lining for the bodice and sleeves (more breathable) and junk black polyester lining for the skirt. Both were from my constantly growing stash. One of the reasons it took me so long to start this blog – I thought about it for months before my first post – is that I hate having my picture taken. I had to avoid the urge to crop my head off of each of these pictures. I did, however, crop out one of my dogs, Indy. I guess I’ll leave the pups in the house next time. If not, my pictures will look more like these. I’ll post details on my next project – which is a bit of a stretch project for me – soon. Happy sewing.